The shape of DNA can be changed with a range of triggers including copper and oxygen—according to new research from the University of East Anglia. 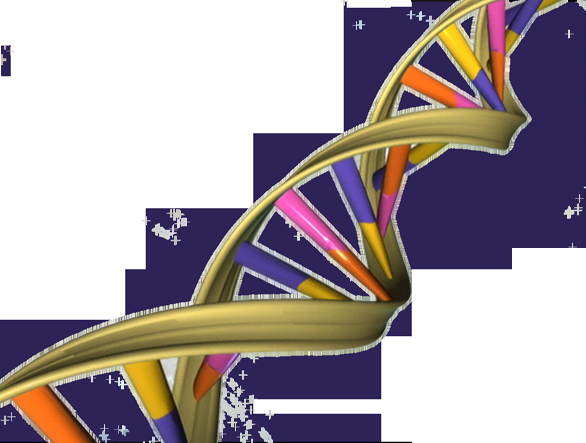 The structure of DNA is widely accepted to exist as a double helix, but different DNA structures also exist. New research published today points to a range of triggers that can manipulate its shape. Applications for this discovery include nanotechnology—where DNA is used to make tiny machines, and in DNA-based computing—where computers are built from DNA rather than silicon. Lead researcher Dr. Zoe Waller from UEA's School of Pharmacy said: "DNA is a genetic material, and its structure usually looks a bit like a twisted ladder—a double helix. "But alternative DNA structures exist and are thought to potentially play a role in the development of genetic diseases, such as diabetes or cancer." "It was previously known that the structure of a piece of DNA could be changed using acid, which causes it to fold up into a shape called an 'i-motif'. "This system can be used as a switch—the DNA in the two different conditions has completely different shapes so we can recognise this as either 'on' or 'off'. This has been used for DNA nano-machine applications." Dr. Waller's research previously showed that the shape of DNA can also be changed into a second structure called a hairpin by using copper salts. This change can then be reversed using EDTA (Ethylenediaminetetraacetic acid) - an agent commonly found in shampoo and other household products. This expanded the capability of DNA into two switches instead of one. Her new findings show that other triggers, including oxygen and a substance similar to Vitamin C, can also trigger DNA to change its shape. The team added copper salts to DNA in oxygen free conditions in order to change its shape to an i-motif. By exposing the i-motif to oxygen in the air, it then changed from in i-motif into a hairpin. The shape can then be changed from a hairpin back to an i-motif by adding sodium ascorbate, which is similar to vitamin C, and back to an unfolded state using a chelating agent. "This research means that now we can not only change the shape of DNA using a change in pH, we can use copper salts and oxygen to have the same effect," said Dr. Waller. "There are many applications that this research could be used for. The potential changes in shape can be used as on/off switches for logic gates in DNA computing. Our findings could also be used in nanotechnology, or to change the properties of materials such as gels," she added. More information: 'Redox Dependent Control of i-Motif DNA Structure Using Copper Cations' Nucleic Acids Research, Friday, May 25, 2018. Sir, now we are reaching very near to reality that DNA can be changed by changing pH .